Next, a great council met at Bristol, revised Magna Charta, and made Lord Pembroke Regent or Protector of England, as the King was too young to reign alone. The next thing to be done, was to get rid of Prince Louis of France, and to win over those English Barons who were still ranged under his banner. He was strong in many parts of England, and in London itself; and he held, among other places, a certain Castle called the Castle of Mount Sorel, in Leicestershire. To this fortress, after some skirmishing and truce-making, Lord Pembroke laid siege. Louis despatched an army of six hundred knights and twenty thousand soldiers to relieve it. Lord Pembroke, who was not strong enough for such a force, retired with all his men. The army of the French Prince, which had marched there with fire and plunder, marched away with fire and plunder, and came, in a boastful swaggering manner, to Lincoln. The town submitted; but the Castle in the town, held by a brave widow lady, named NICHOLA DE CAMVILLE (whose property it was), made such a sturdy resistance, that the French Count in command of the army of the French Prince found it necessary to besiege this Castle. While he was thus engaged, word was brought to him that Lord Pembroke, with four hundred knights, two hundred and fifty men with cross-bows, and a stout force both of horse and foot, was marching towards him. 'What care I?' said the French Count. 'The Englishman is not so mad as to attack me and my great army in a walled town!' But the Englishman did it for all that, and did it--not so madly but so wisely, that he decoyed the great army into the narrow, ill-paved lanes and byways of Lincoln, where its horse-soldiers could not ride in any strong body; and there he made such havoc with them, that the whole force surrendered themselves prisoners, except the Count; who said that he would never yield to any English traitor alive, and accordingly got killed. The end of this victory, which the English called, for a joke, the Fair of Lincoln, was the usual one in those times--the common men were slain without any mercy, and the knights and gentlemen paid ransom and went home. The Black Band never blushed, or they might have blushed at this. They knocked the Smith about from one to another, and swore at him, and tied the Earl on horseback, undressed as he was, and carried him off to the Tower of London. The Bishops, however, were so indignant at the violation of the Sanctuary of the Church, that the frightened King soon ordered the Black Band to take him back again; at the same time commanding the Sheriff of Essex to prevent his escaping out of Brentwood Church. Well! the Sheriff dug a deep trench all round the church, and erected a high fence, and watched the church night and day; the Black Band and their Captain watched it too, like three hundred and one black wolves. For thirty-nine days, Hubert de Burgh remained within. At length, upon the fortieth day, cold and hunger were too much for him, and he gave himself up to the Black Band, who carried him off, for the second time, to the Tower. When his trial came on, he refused to plead; but at last it was arranged that he should give up all the royal lands which had been bestowed upon him, and should be kept at the Castle of Devizes, in what was called 'free prison,' in charge of four knights appointed by four lords. There, he remained almost a year, until, learning that a follower of his old enemy the Bishop was made Keeper of the Castle, and fearing that he might be killed by treachery, he climbed the ramparts one dark night, dropped from the top of the high Castle wall into the moat, and coming safely to the ground, took refuge in another church. From this place he was delivered by a party of horse despatched to his help by some nobles, who were by this time in revolt against the King, and assembled in Wales. He was finally pardoned and restored to his estates, but he lived privately, and never more aspired to a high post in the realm, or to a high place in the King's favour. And thus end--more happily than the stories of many favourites of Kings--the adventures of Earl Hubert de Burgh. King Philip of France had died, and had been succeeded by Prince Louis, who had also died after a short reign of three years, and had been succeeded by his son of the same name--so moderate and just a man that he was not the least in the world like a King, as Kings went. ISABELLA, King Henry's mother, wished very much (for a certain spite she had) that England should make war against this King; and, as King Henry was a mere puppet in anybody's hands who knew how to manage his feebleness, she easily carried her point with him. But, the Parliament were determined to give him no money for such a war. 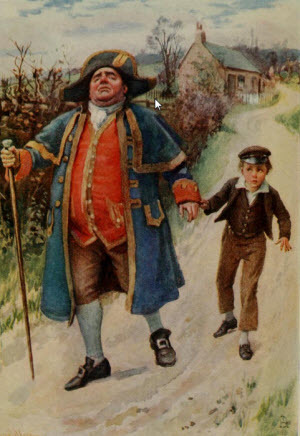 So, to defy the Parliament, he packed up thirty large casks of silver--I don't know how he got so much; I dare say he screwed it out of the miserable Jews--and put them aboard ship, and went away himself to carry war into France: accompanied by his mother and his brother Richard, Earl of Cornwall, who was rich and clever. But he only got well beaten, and came home. But, at a good time for him, his brother Richard came back. 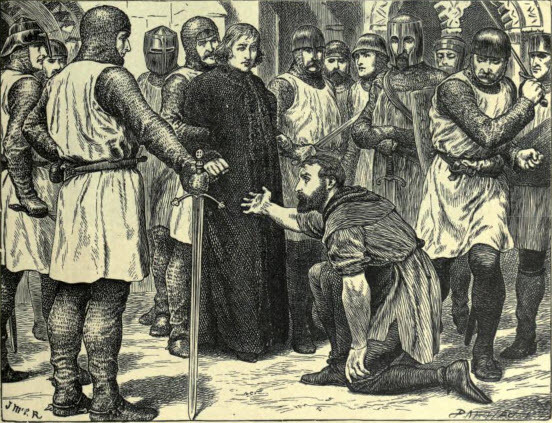 Richard's first act (the Barons would not admit him into England on other terms) was to swear to be faithful to the Committee of Government--which he immediately began to oppose with all his might. 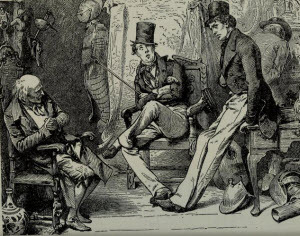 Then, the Barons began to quarrel among themselves; especially the proud Earl of Gloucester with the Earl of Leicester, who went abroad in disgust. Then, the people began to be dissatisfied with the Barons, because they did not do enough for them. The King's chances seemed so good again at length, that he took heart enough--or caught it from his brother--to tell the Committee of Government that he abolished them--as to his oath, never mind that, the Pope said!--and to seize all the money in the Mint, and to shut himself up in the Tower of London. Here he was joined by his eldest son, Prince Edward; and, from the Tower, he made public a letter of the Pope's to the world in general, informing all men that he had been an excellent and just King for five-and-forty years. 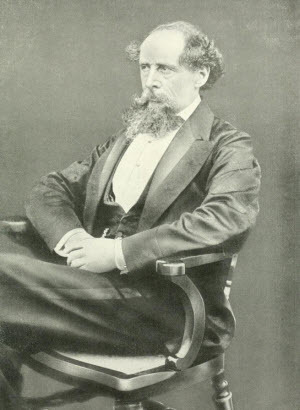 It would require a great deal of writing on my part, and a great deal of reading on yours, to follow the King through his disputes with the Barons, and to follow the Barons through their disputes with one another--so I will make short work of it for both of us, and only relate the chief events that arose out of these quarrels. The good King of France was asked to decide between them. He gave it as his opinion that the King must maintain the Great Charter, and that the Barons must give up the Committee of Government, and all the rest that had been done by the Parliament at Oxford: which the Royalists, or King's party, scornfully called the Mad Parliament. The Barons declared that these were not fair terms, and they would not accept them. Then they caused the great bell of St. Paul's to be tolled, for the purpose of rousing up the London people, who armed themselves at the dismal sound and formed quite an army in the streets. I am sorry to say, however, that instead of falling upon the King's party with whom their quarrel was, they fell upon the miserable Jews, and killed at least five hundred of them. They pretended that some of these Jews were on the King's side, and that they kept hidden in their houses, for the destruction of the people, a certain terrible composition called Greek Fire, which could not be put out with water, but only burnt the fiercer for it. What they really did keep in their houses was money; and this their cruel enemies wanted, and this their cruel enemies took, like robbers and murderers. The Earl of Leicester put himself at the head of these Londoners and other forces, and followed the King to Lewes in Sussex, where he lay encamped with his army. Before giving the King's forces battle here, the Earl addressed his soldiers, and said that King Henry the Third had broken so many oaths, that he had become the enemy of God, and therefore they would wear white crosses on their breasts, as if they were arrayed, not against a fellow-Christian, but against a Turk. White-crossed accordingly, they rushed into the fight. They would have lost the day--the King having on his side all the foreigners in England: and, from Scotland, JOHN COMYN, JOHN BALIOL, and ROBERT BRUCE, with all their men--but for the impatience of PRINCE EDWARD, who, in his hot desire to have vengeance on the people of London, threw the whole of his father's army into confusion. He was taken Prisoner; so was the King; so was the King's brother the King of the Romans; and five thousand Englishmen were left dead upon the bloody grass. And even though he was dead, the cause for which he had fought still lived, and was strong, and forced itself upon the King in the very hour of victory. Henry found himself obliged to respect the Great Charter, however much he hated it, and to make laws similar to the laws of the Great Earl of Leicester, and to be moderate and forgiving towards the people at last--even towards the people of London, who had so long opposed him. There were more risings before all this was done, but they were set at rest by these means, and Prince Edward did his best in all things to restore peace. One Sir Adam de Gourdon was the last dissatisfied knight in arms; but, the Prince vanquished him in single combat, in a wood, and nobly gave him his life, and became his friend, instead of slaying him. Sir Adam was not ungrateful. He ever afterwards remained devoted to his generous conqueror.